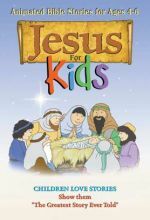 This is the story of Jesus as seen through the eyes of children who might have lived during the time Jesus lived on earth. Follow the lives of Benjamin, Caleb, Sarah, Joel, Leah and Nathan, living in Jerusalem about A.D. 30. Hear the stories of the Man from Nazareth who heals the sick and raises the dead. They struggle to make sense of it all -- some from families who believe Jesus is the Son of God, others from families who do not. They watch Jesus from the crowds. They follow Him to see what this incredible man, who loves children, will do next. They see Him betrayed, wrongly accused, crucified, and buried. But, they remember the promise of Jesus and believe they will see Him again. 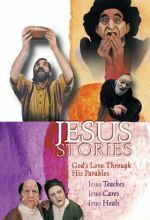 Children of all ages will enjoy this captivating retelling of the true story of Jesus from a child's perspective. Footage adapted from the film Jesus, starring Brian Deacon as Jesus. I have seen this movie for the adults. It is a Great Movie! This one is perfect for kids! !